Wow – what a weekend! I’m totally wiped, but had a lot of fun getting to that point. 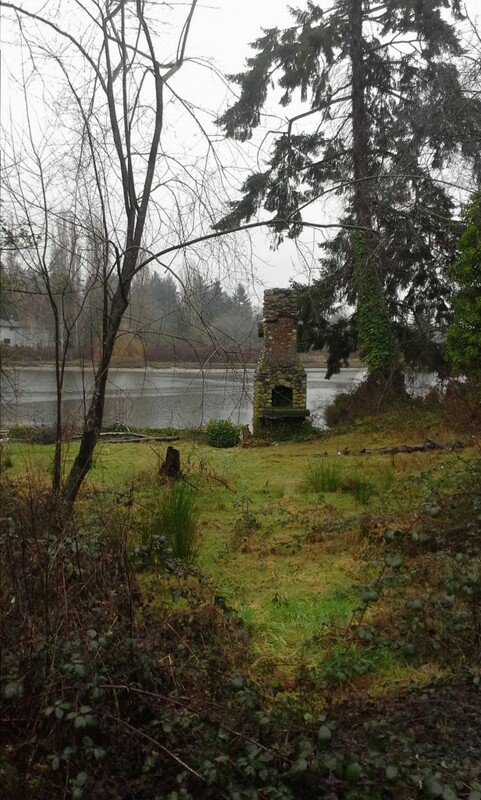 Here’s a roundup, using pictures, because they will hopefully do the job! 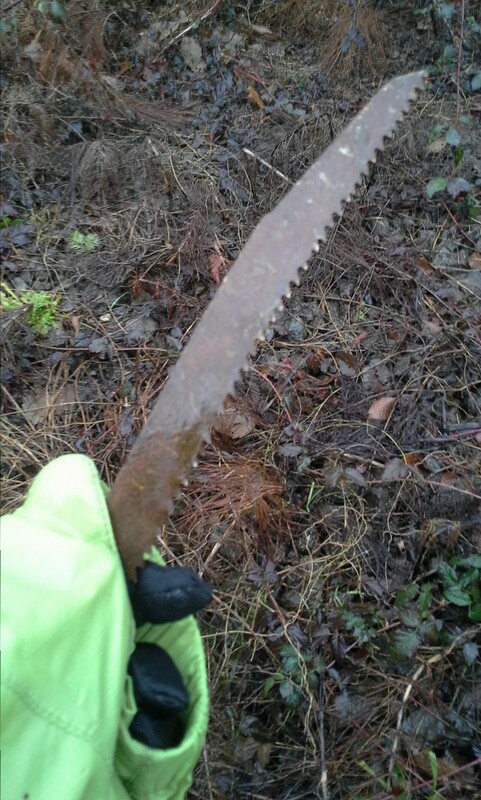 I found this saws-all blade on the road and picked it up to save a tire. Never found a trash can along the way so ran with it like this. Quickly found cars gave me a very wide berth! Now we’re in Tacoma for an exhibition game with Coach Chris’ son’s team. It’s a Squirt rep team, so a level up from us. We got crushed, BUT – one of the coaches played O’Callahan from the movie Miracle! Lisa was so stunned! 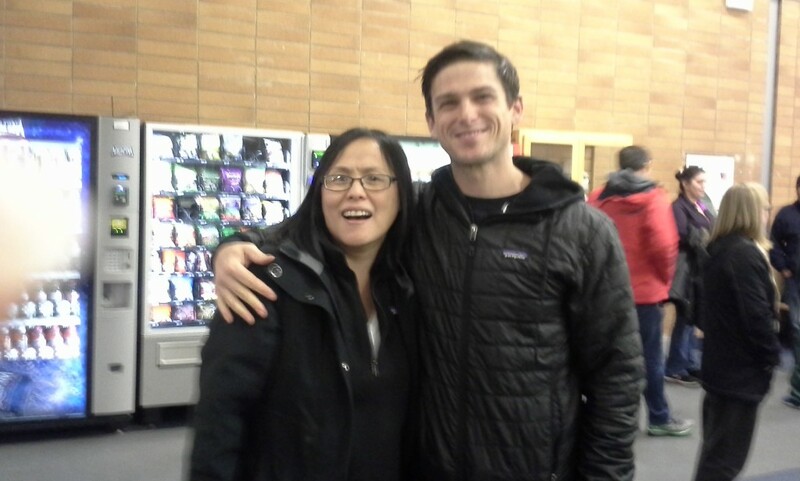 Mike is a very humble and nice guy. THEN we headed to Poulsbo for dinner with some families from the team (an hour north) and took two boys (cousins) home for a sleepover since they can’t come on Wed when the rest of the guys do. I had NO idea what I was in for. OMG. They had a blast, and so did the boys. It was wild, though. 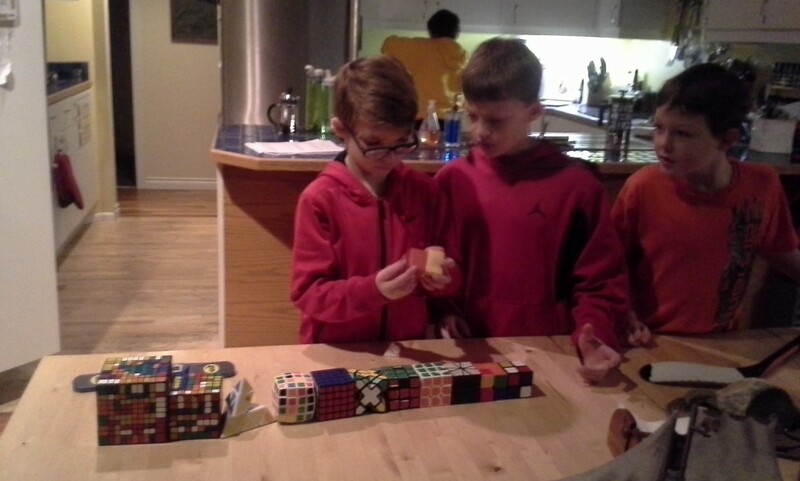 Here they are admiring Sam’s cube collection. They also enjoyed shooting in the garage to see how fast they are on the radar gun, soccer (me as goalie), basketball, tucking chickens in (wish kids did that!) and more…oh…knee hockey before bed. It took hours to wind them down. 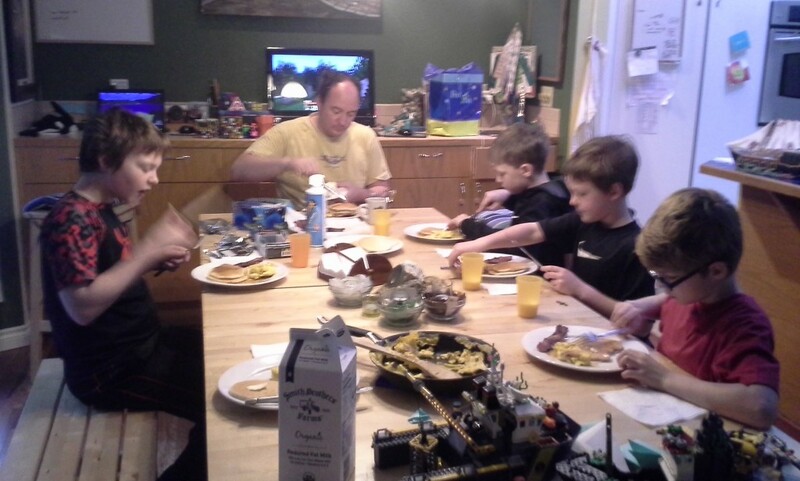 Breakfast before their game. Thanks to Dave, we all ate well! Thank you, honey! 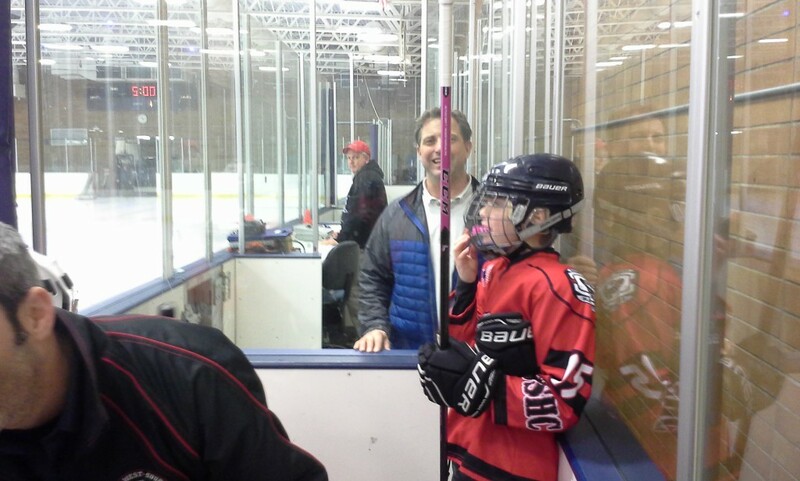 So – Sam had a game, which they won 2:1 (just barely – tough game!). 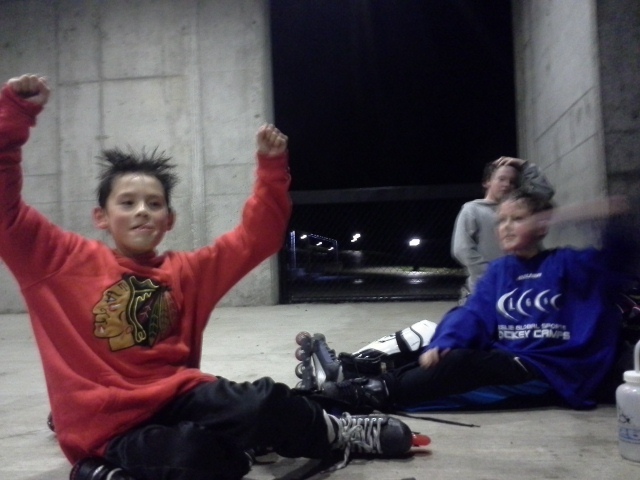 Then we did open skate while waiting around for Ben’s Mites practice. 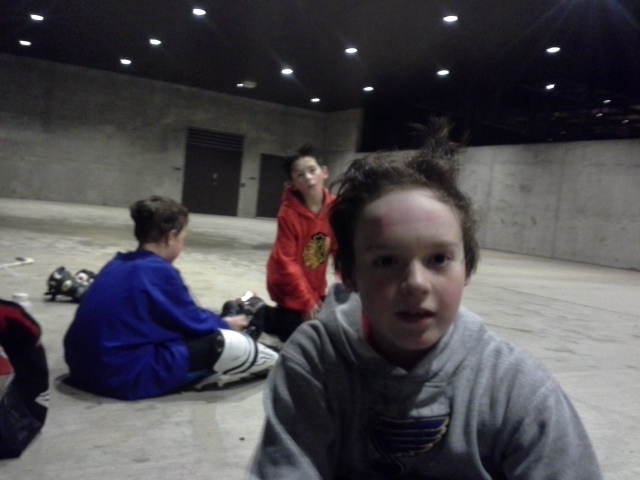 I spent 3 hours on the ice (I help corral kids and pucks), Sam 4 hours. 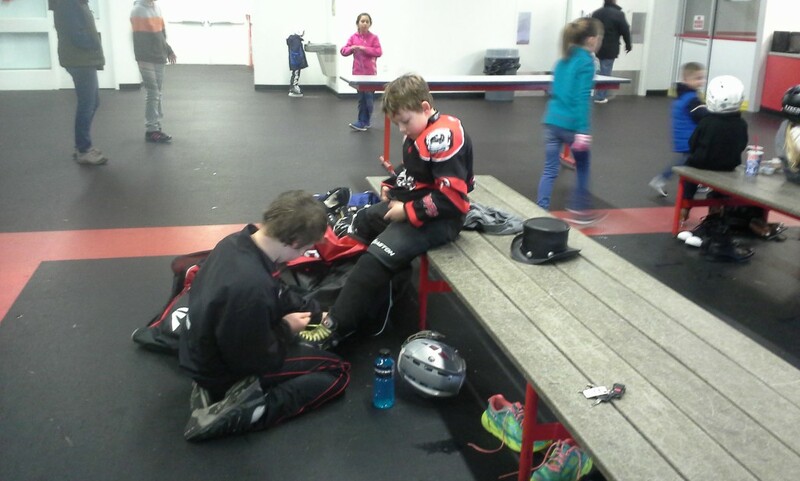 Here he is tying Ben’s skates. I was so tired by this time that I lost my keys 3 separate times. I finally told another mom where they were! I felt nearly drunk with tiredness, but just kept moving or I would have keeled over! Lots of fun, though. Pond hockey…of a different sort! The Zamboni was down today and practice was cancelled. Bummer! What to do? Roller hockey, of course! We invited hardy souls who didn’t mind the cold and rain to come join us at the school where there is a nice covered area with cement flooring. Down side? The soccer club had already arrived and was not interested in cooperating on a sharing arrangement. He eventually allowed us to use some of the space while the team warmed up, but then we had to move on to a covered walkway, and a spot outside the cafeteria – walled with glass and surveilled by a video camera. Not ideal conditions for passing a hockey puck! 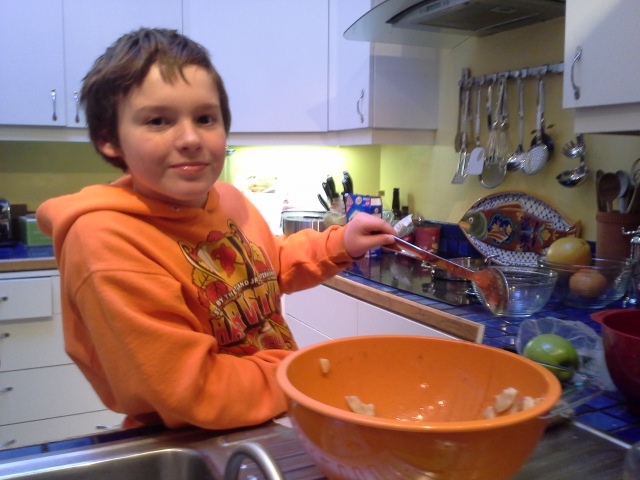 But, we persisted – the kids had a lot of fun anyway, and the conditions were so ridiculous it was funny. I recorded a few video greetings for the hockey director and coach – they’re not having much fun with a sick Zamboni and kids bummed to miss practice. The soccer coach finally relented and left 15 min early, so after 90 min of waiting, we got a chance to play hockey for about 45 min. We ended up coming home about the same time we would have come home from Bremerton, which is normally about 4 hours out of the house. I was tucking the kids in bed and couldn’t figure out why Ben smelled sour. So I thought. I’d just done sheets, and he’d just showered. I had Dave sniff him all over and he didn’t smell anything. I kept sniffing around and finally figured out it was MY HANDS! What the crap? Was it my wild yeast starter? I did bake bread today. (Yes – the yeasts are alive again! 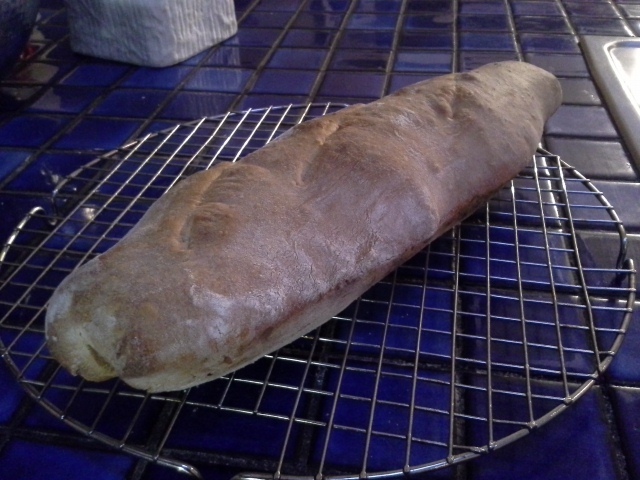 Check out the picture of the bread – they are now revived after months of neglect. I had to build the colony back up slowly with many many feedings. I’m so excited to see they’re working again!) OK – want to know what the smell was? Can you guess? Hockey-related. I was playing with the boys, which means I had…GLOVES on. The hockey stink persisted despite washing my hands AND cleaning up after dinner. Unreal! Enjoy these clips! 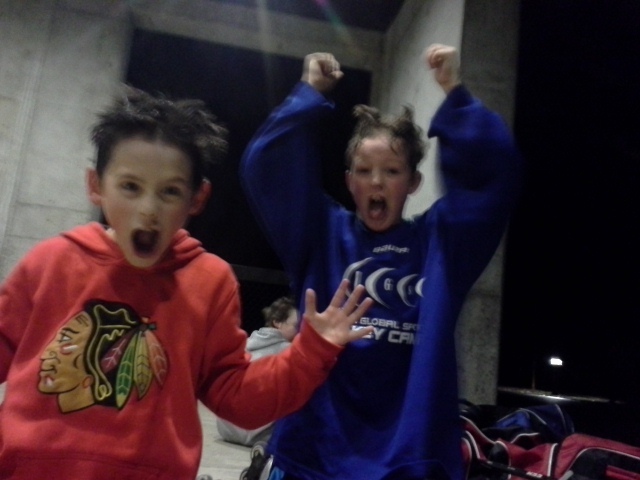 After our game – very sweaty despite it being cold out. Time to brush teeth boys. 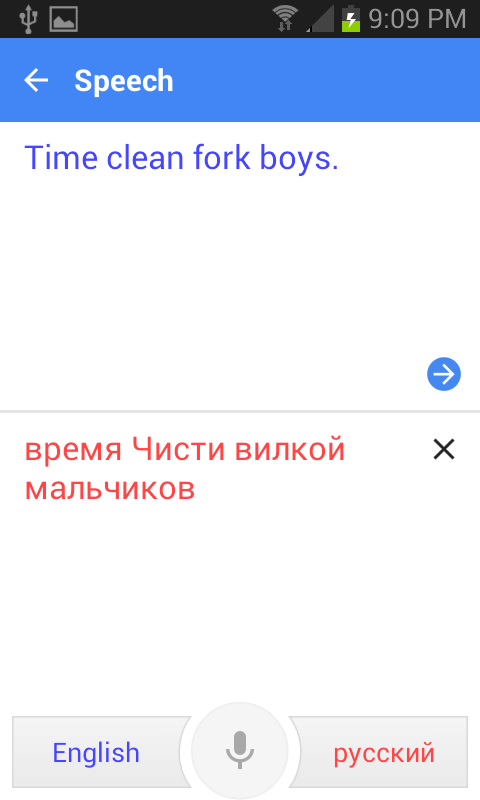 Google translate – I spoke in Russian and finally got it correct enough to translate what I meant to say! 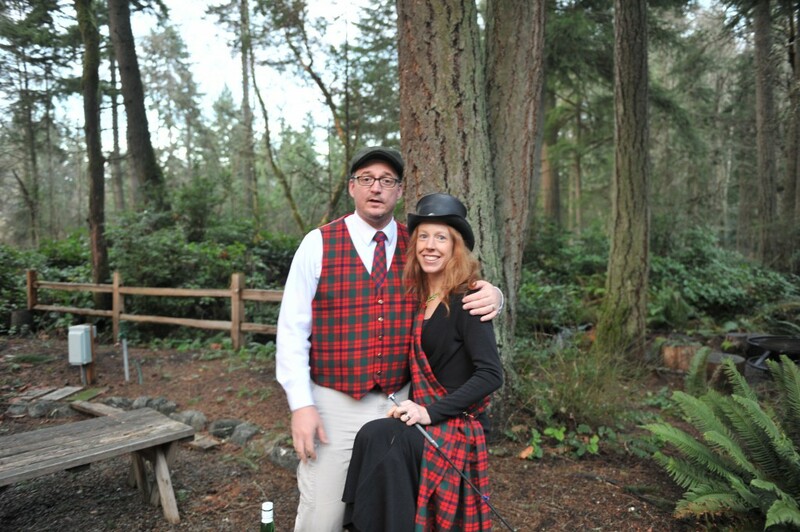 You would not believe the outtakes, though! I was LAUGHING out loud. 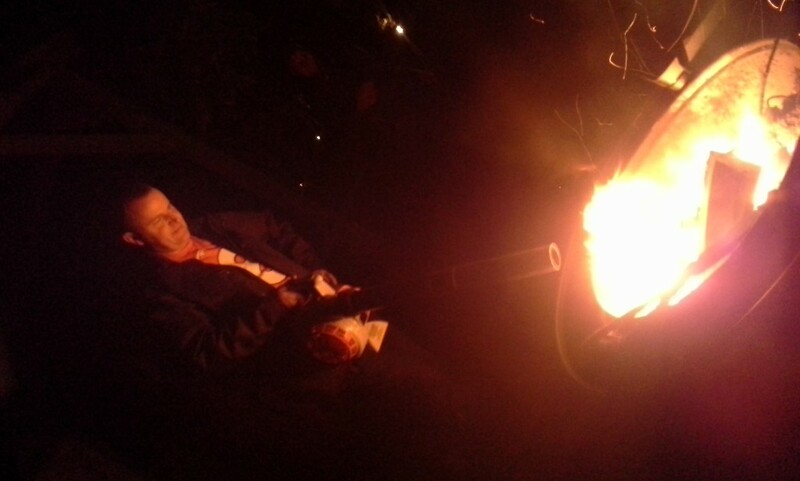 Then I had the boys and Dave try. Dave thought it sounded like I was asking for a cheese stick. (Sounds like “vremya chestit’ zuby malchikov”.) In the outtakes below, I’m hitting the microphone and trying to pronounce the words correctly. If I don’t get it right, funny translations appear above. Friday Ben’s Mites team played during the Warriors’ intermission. It was fun for him, but 3 hours of transit to play 5 minutes on the ice? He REALLY wanted more skating time, but managed to score a goal from all the way at the other side of the ice. Sam and I made pies yesterday to take to our friends’ home for a dinner gathering (which was wonderful). He made one with red apples and a sugary sauce which was actually pretty good, and I made one with green apples (double crust). Came out respectably enough. 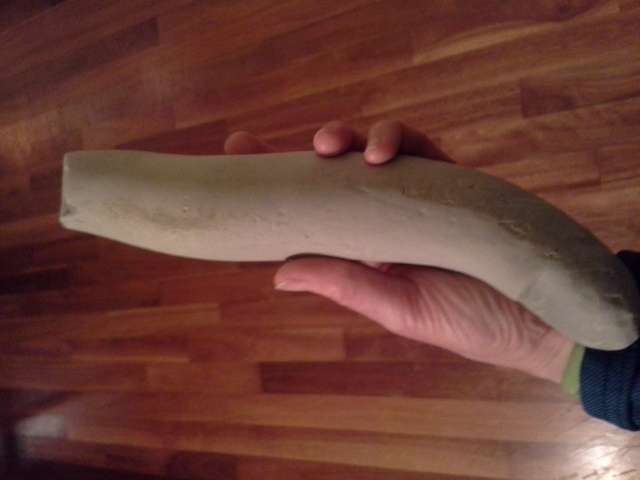 This is a coprolite – fossilized worm feces from a lake bed in Seattle. I brought this up at dinner with friends last night and just had to display it because it’s so odd, and unless you come visit my artifacts shelf in our foyer, you’d never have the distinct privilege of seeing fossil worm feces. 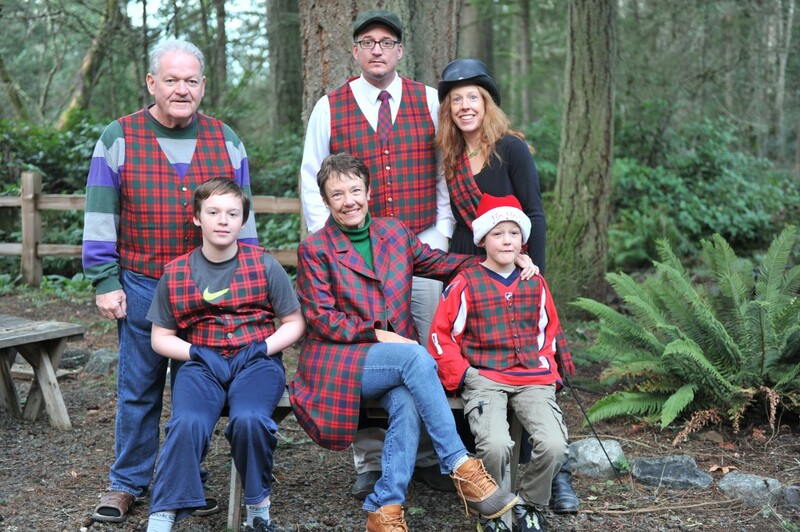 Family photos get more fun every year! See? Props for adults this time! 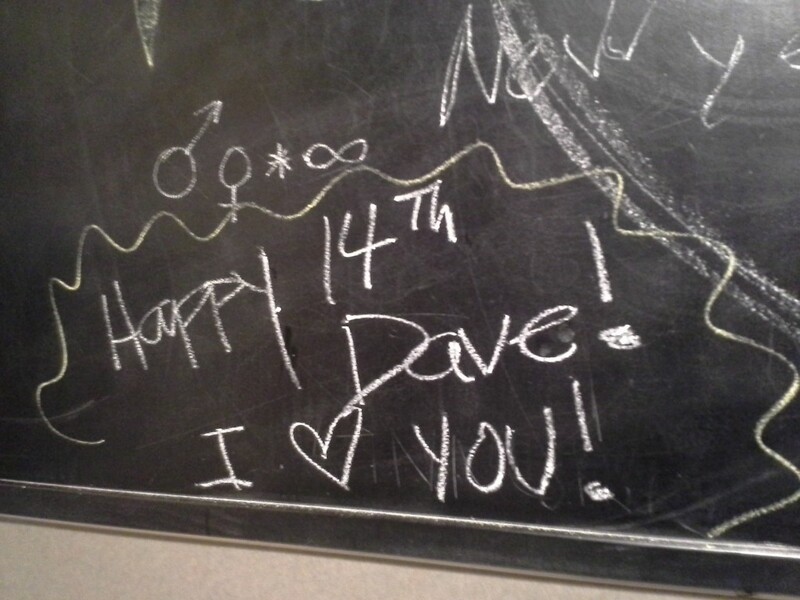 Happy 14th Anniversary, to us! Dave’s face is priceless. 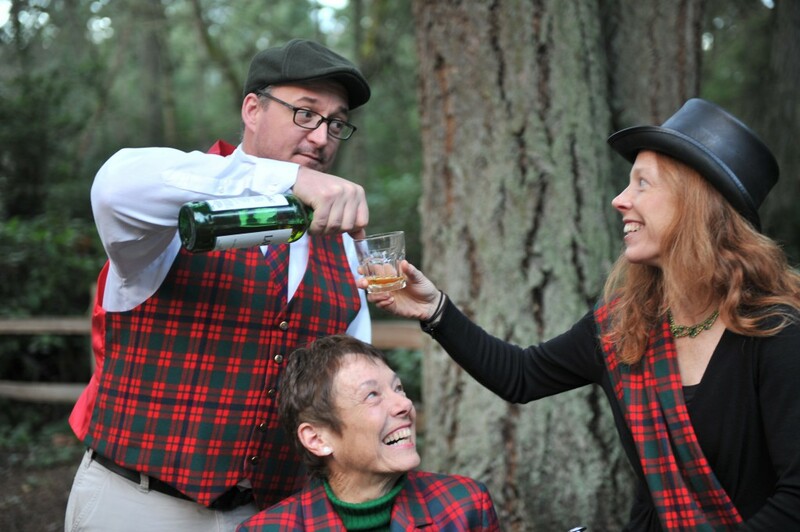 And because I like to keep up on customs and traditions…I checked out Scottish Hogmanay traditions on Wikipedia. That infallible source of the people. The entry had me at chicken wire and flammable materials. Dave and I went for a bike ride down to a brewery on the island (this is a sort of broken tradition dating back to before kids, when we had time to go on a 30 mile bike ride then stop for a sampler). 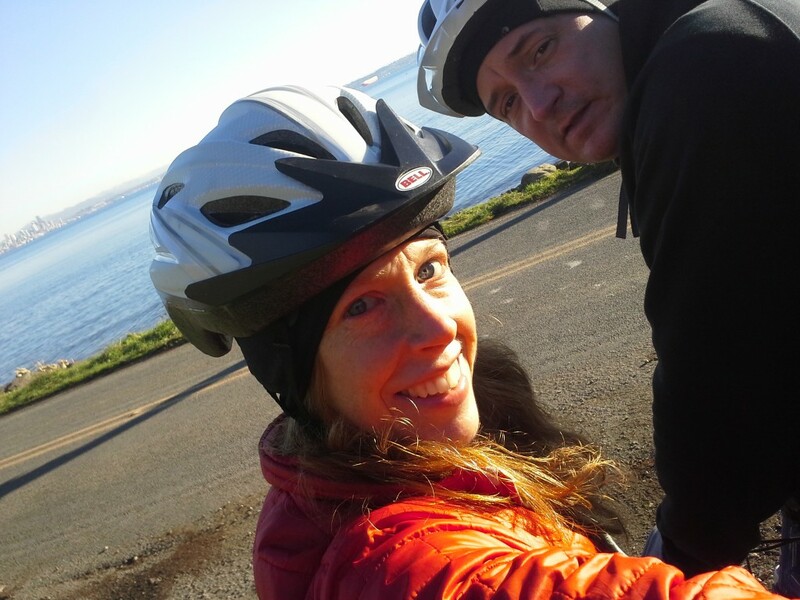 Now that it’s relatively safe to bike here (Hawaii – not so much), I decided to reinstate the tradition for our anniversary. Needless to say, I was pretty buzzed biking back uphill after a few samplers! We took it slow and got home in time for me to undertake this adventure. See bottom of post for the video. bar top selfie. 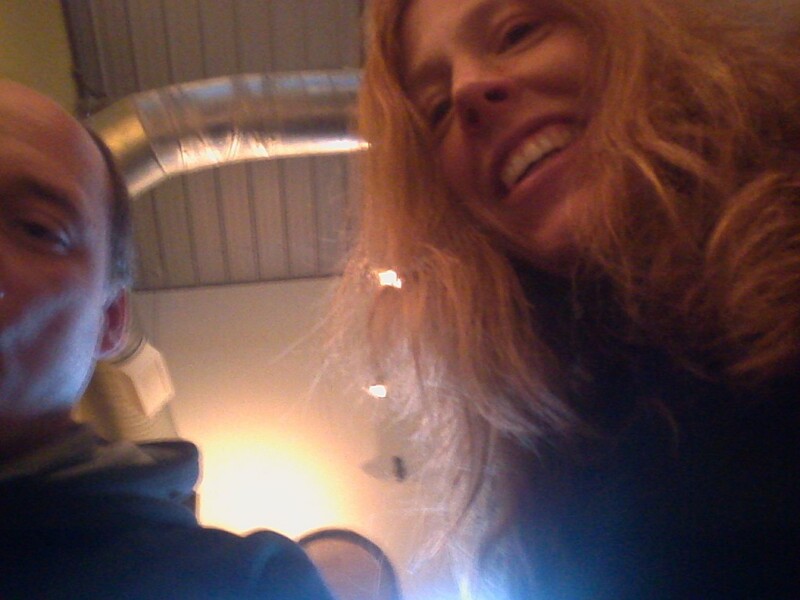 Hubby a little shy about selfies in a brewery. Can’t imagine why.